・You will study grammatical items at the JLPT N1 level along with many commonly confused patterns and conjunctive expressions. 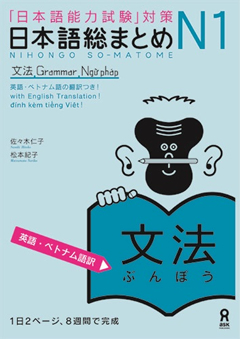 ・The words in the titles and headlines are include in the exercises in each section. Therefore you will naturally learn the sentence patterns as you are repeatedly exposed to them. ・The inclusion of a weekly test will enable you to regularly check your learning.